SISI Rondina and Dzi Gervacio became the last Filipina pair standing in the FIVB Beach Volleyball World Tour Manila Open following a 21-17, 21-17 conquest of Canada's Caleigh Cruickshank and Megan Nagy in the round-of-12 yesterday at the Sands SM By The Bay. With modest expectations of playing well against international, battle-tested sand court veterans, Gervacio was satisfied things went with her maiden partnership with Rondina in the one-star tournament. Rondina and Gervacio put up a gallant fight before losing to Spain's Paula Soria and Maria Belen Carro, 20-22, 21-23. The Philippines' Karen Quilario and Lot Catubag stayed in contention in the loser's bracket with a 21-13, 18-21, 15-11 win over Hong Kong's Yuen Ting Chi and Au Yeung Wai Yan. THE Premier Volleyball League kicks off its inaugural Collegiate Conference today (Saturday) with a promise of slam-bang action in both the men’s and women’s divisions featuring the leading players and rising stars from the country’s top universities and colleges. 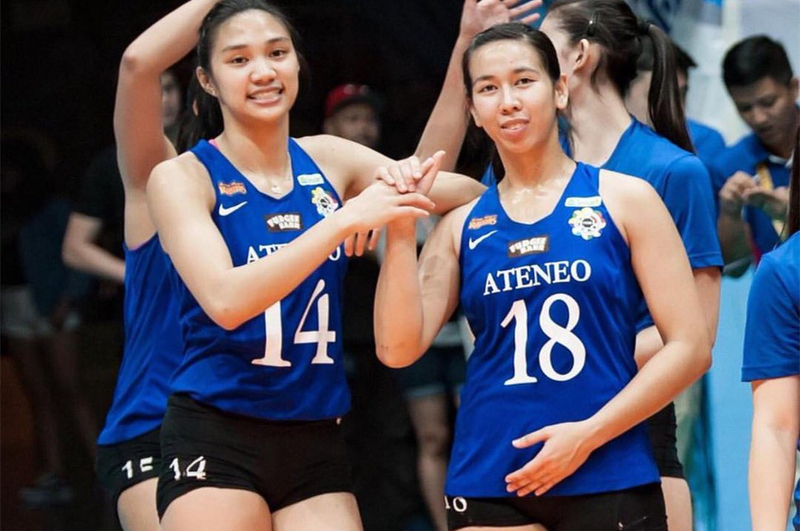 Ateneo launches its title drive sans its top setter and ace hitter but the Lady Eagles remain upbeat of their chances in the seven-week tournament also serving as the pre-season event for 12 women’s teams and 10 men’s squads priming up for their respective school leagues. 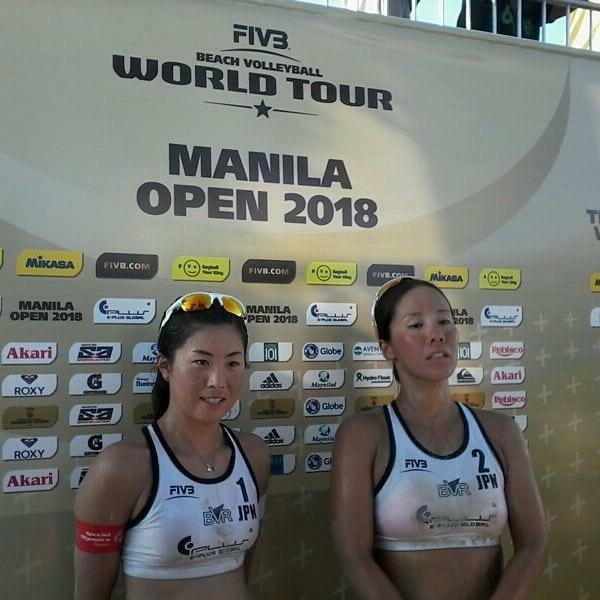 JAPAN's Ayumi Kusano and Takemi Nishibori put up a dominant performance over Spain's Paula Soria and Maria Belen Carro, 21-14, 21-18, to claim the gold medal in the FIVB Beach Volleyball World Tour Manila Open yesterday at the Sands SM By The Bay. After the Spaniards saved three match points, Nishibori delivered the championship kill from a sublime Kusano and completed a perfect 6-0 campaign in the tournament organized by the Beach Volleyball Republic. DESPITE back-to-back, straight-set losses to Vietnam and Thailand the Philippine Ladies Volleyball team will improve its 2015 Southeast Asia Games finish. In 2015 the Philippines placed fifth behind champion Thailand, Vietnam, Indonesia and Singapore. The Philippine squad takes the floor against Vietnam today for the bronze medal and will place higher than fifth even if they lose their match. 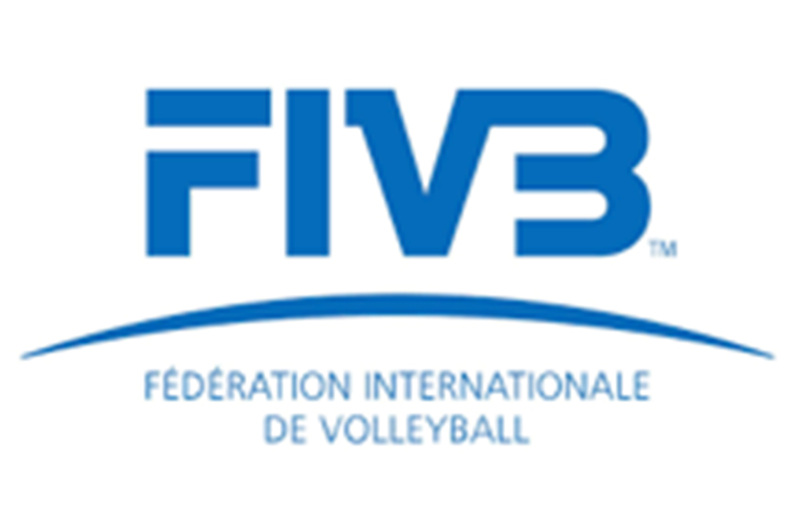 A SLEW of talented international players vying for tournament points are arriving today as they brace for the main draw of the FIVB Beach Volleyball World Tour Manila Open set to open later this week at the Sands SM By The Bay. Paraguay's Michelle Amarilla, who with Gabriela Filippo battled with the legendary United States pair of April Ross and Kerri Walsh Jennings in the first knock-out round of the 2015 Beach Volleyball World Championships, will banner the 16-pair women's cast. 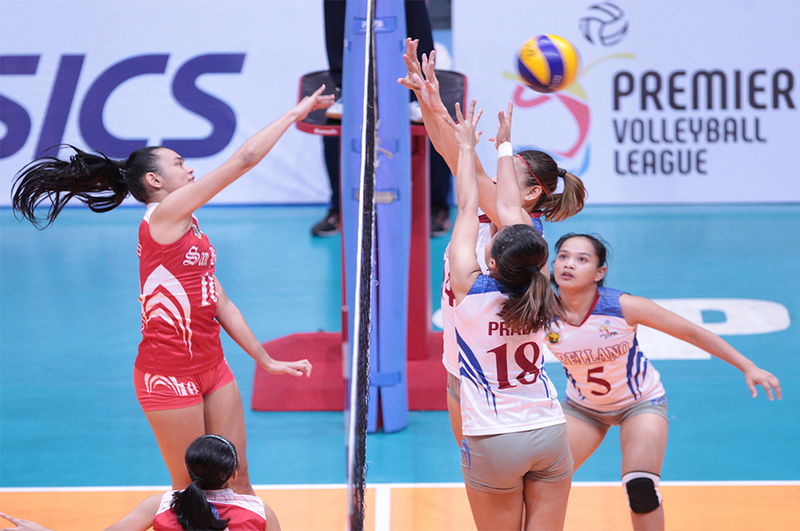 THE unbeaten Creamline Cool Smashers (6 wins, 0 loss) and the Pocari Sweat Lady Warriors (5-1) are safely through to the semifinals of the Premier Volleyball League Open Conference. Three teams: Hairy Fairy Air Force (4-2), Perlas-BanKo (3-3) and the BaliPure Water Defenders (3-3) are fighting to stay alive. THE Arellano University Lady Chiefs are showing why they are the reigning National Collegiate Athletic Association champions by vaulting to an early lead in the Premier Volleyball League Collegiate Conference. The Lady Chiefs relied on star player Jovielyn Prado to post back-to-back straight set victories over the College of St.Benilde Lady Blazers and the San Beda Red Spikers. THE Creamline Cool Smashers, led by the irrepressible Alyssa Valdez, barely missed the championship round of the Philippine Volleyball League Open Conference just a few weeks ago. They improved exponentially this conference with the addition of former Ateneo De Manila University (also a former teammate of Valdez) setter Jia Morado as well as libero Angela Nunag.